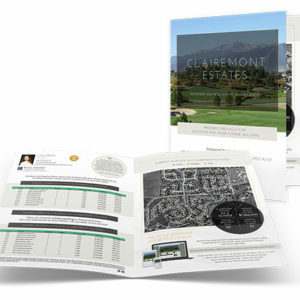 Ideal size for mailing to Condominiums (or communities with small mailboxes). 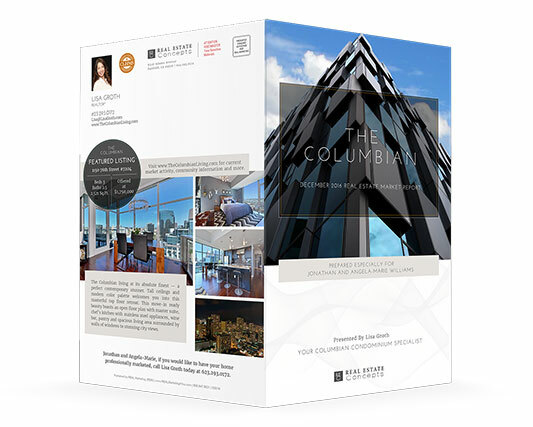 BECOME THE DOMINANT FORCE in your luxury community. 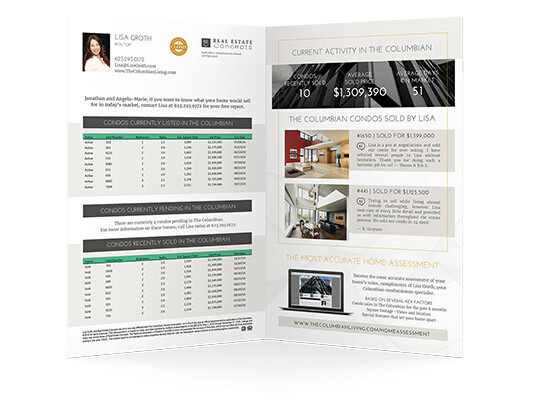 By presenting homeowners with quality and relevant information we position you as the hyper-local luxury expert. The impact is immediate, your marketing and professionalism showcased. Your Branding and Contact Information. All market data pulled and displayed in-line with your Board’s regulations. Stats and data are local and relevant. Presentation of your current activity and/or relevant content suggested. 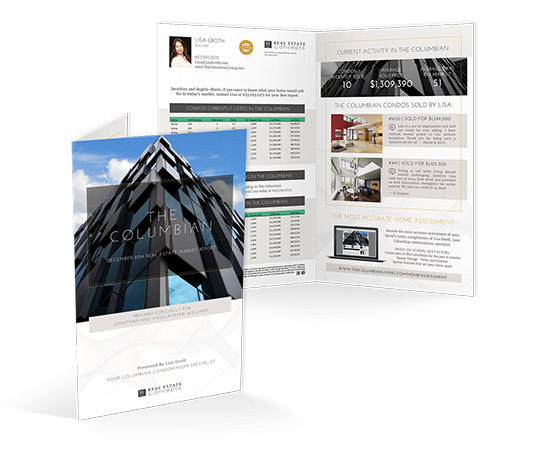 A turnkey strategy designed to keep your marketing consistent. A Dedicated Campaign Specialist assigned to work with you. Community website includes domain, hosting and updates: $65.00 per month. Prices quoted per monthly mailing. 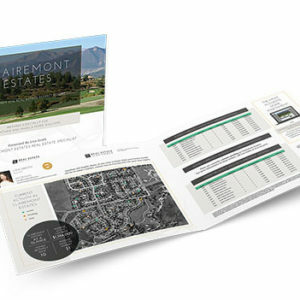 Includes pulling/formatting MLS data, content updates, printing, mailing, postage, personalization to each homeowner and a community website.